The opening round of the five-round 2014 Indian Rallying Championship (IRC) will be the South India Rally to be held in Chennai in March, the Federation of Motor Sports Clubs of India (FMSCI) has announced. Also for the first time, foreign drivers will be allowed to compete for points in two of the three main categories. The big news, however, from the Rally Commission (RallyCom) meeting is that there will be a 10-round Indian National Time Speed Distance Rally Championship (INTSDRC) which will be spread across the country. The opening round of the INTSDRC will be held in mid-February in Coimbatore. The final schedule of the IRC and INTSDRC will be released by the end of this year. -Eligible cars will have to be FIA / FMSCI homologated and foreign drivers will also be eligible to score points. -There will be a separate cup for FMSCI Homologated cars pre 2007 and this category will be open to Indian drivers only. -Foreign drivers will also be eligible for points in this category. FMSCI Rallycom head Ashwin Pandit said, "We are extremely pleased with the great response to this year's Rally Championship. We are committed to make Rallying in India better and are confident the changes we have made will help improve the sport in India. The entry of foreign drivers will not only help develop our drivers but also make Rallying in India more competitive. In addition, the INTSDRC is becoming a very popular event in the country and now we will take it across India. 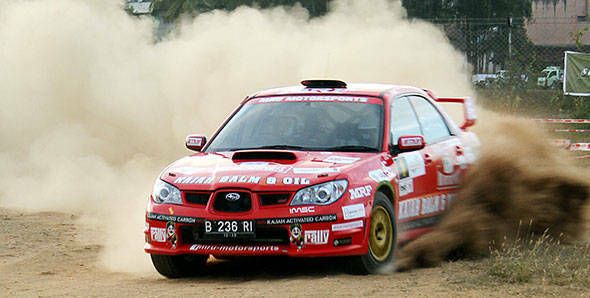 The next few years will hopefully see India becoming a strong force in the world in rallying. We would like thank all the member clubs for agreeing to host the events next year. " The Rallycom also finalised the plans to take the 2014 INTSDRC (TSD Rally Championship) pan-India. There will be 10 races held next year, marking the biggest calendar for the TSD Rally Championship so far. The opening round of the championship will be held in Coimbatore in mid-February. The cities targeted for the 2014 INTSDRC include Coimbatore, Chennai , Bangalore, Jaipur, Mumbai , Kolkatta, Orissa, Ranchi.